Brother and sister duo Michael Boaden and Helen Cheers have been awarded the Kumho Spirit of the Rally award for round three of the Australian Rally Championship, the International Rally of Queensland. Kumho Tyre has expanded its support of grass roots motor sport by announcing it will be the naming rights sponsor for the inaugural Australian Schools Karting Championship. The Australian Formula 3 Drivers Championship has thrown its support behind the upcoming Kumho's Pink Fitters Day to raise money for the McGrath Foundation by staging a pink podium at Bathurst's Mt Panorama. Kumho has taken Formula 3 driver Chris Anthony to record pace around Australia's most prestigious racetrack, Bathurst's Mt Panorama. 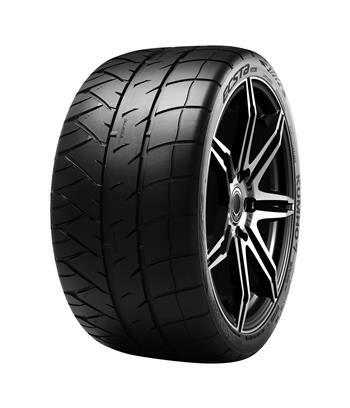 Leading tyre company Kumho Tyre has expanded its Australian motor sport portfolio by signing with the new Australian Sports Racer Series as exclusive tyre supplier and partner. A Kumho shod Formula 3 open wheeler has become quickest car ever around the famed Adelaide Parklands Circuit. Kumho Tyre Australia has announced it has become the new naming rights sponsor for the Australian Junior Rally Challenge further expanding the company's backing of the ECB Australian Rally Championship. Leading rally tyre maker Kumho will remain as the exclusive tyre supplier to the Australian Rally Championship for a further three years with the announcement of increased commitment to the series. Newcastle driver Chris Giddins has sealed the 2013 NSW Rally Championship with his win in the Kumho Rally of the Bay over the weekend, despite having a last minute scare on the final stage of the event. V8 Touring Car Series organisers today confirmed Kumho Tyres as control tyre supplier to the national-level category for ex-V8 Supercars until at least 2016. The rescheduled Kumho Rally of the Bay is set to go and organisers are expecting a bumper field for what will now be the final round of the 2013 NSW Rally Championship in Batemans Bay on 19 October. Round four of the NSW Rally Championship, the Kumho Rally of the Bay has announced a new date following its postponement due to torrential rain in late June. Four times Australian Rally Champion Neal Bates and his champion co-driver Coral Taylor have given the Kumho Rally of the Bay the thumbs up after checking the route for the rally organisers this week. A bumper field of more than 80 of Australia's most exciting rally cars will line the main street of Bateman's Bay on Saturday, 29 June for the start of the Kumho Rally of the Bay scheduled for 10:00am.